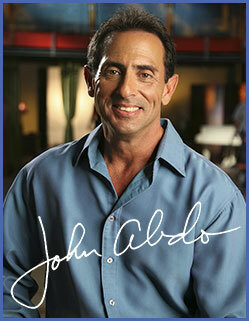 John Abdo invented the WonderFlex® Pillow. He is regarded worldwide as an authority on life motivation, health, fitness, nutrition and athletic conditioning. John is a former Olympic athlete and coach who has trained numerous World and Olympic Champion athletes, World Record Holders, and Olympic Gold Medalists. John has been a Professor of Fitness Sciences, Master Fitness Trainer, and an inductee into the National Fitness Hall of Fame. Awarded numerous international award-winning patents, John’s technologies are responsible for reshaping and improving the lives of more than 10 million people around world. As a highly demanded television and radio show guest, John is also a Best-Selling author of books like Make Your Body a Fat Burning Machine, Vital Living From the Inside-Out, and Brain Sensation & Motivation. Now, at the age of 62 years young, John continues to be an empowering speaker, prolific teacher, mentor, and motivator promoting healthy lifestyle principles for achieving success in all areas of personal and professional life.